It’s a foggy, drizzling morning as I meet Emma Johnson, interpretive ranger and coordinator for my residency, at the boat dock for a visit to South Marble Island. Our craft today is the Serac, which delivers the rangers to the 2 daily giant cruise ships which come into the west arm of Glacier Bay. The rangers help the ship passengers experience the nature and wonder of this amazing national park. As we leave the dock we spot 2 orcas once again in Barlett Cove, and a call is put in to Dena so she can try and identify these whales. 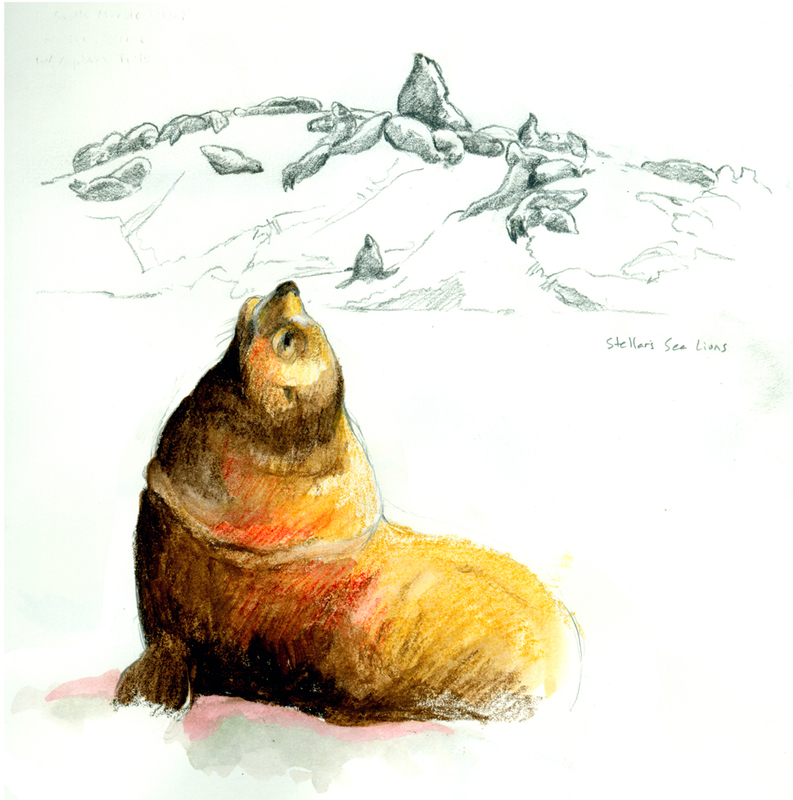 South Marble is in the upper reaches of the bay and as we draw closer the unmistakable sounds of barking and snorting stellar’s sea lions can heard. They haul up on rocky tidal outcrops in large piles, usually with a bull sea lion at the topmost point. The social noise of the sea lions is quite entertaining, but the fishy odor is not, so we continue up to the island. This island is unique in it’s geography and plant habitat and supports huge numbers of nesting kittiwakes, pigeon guillemots, murres and tufted puffins. 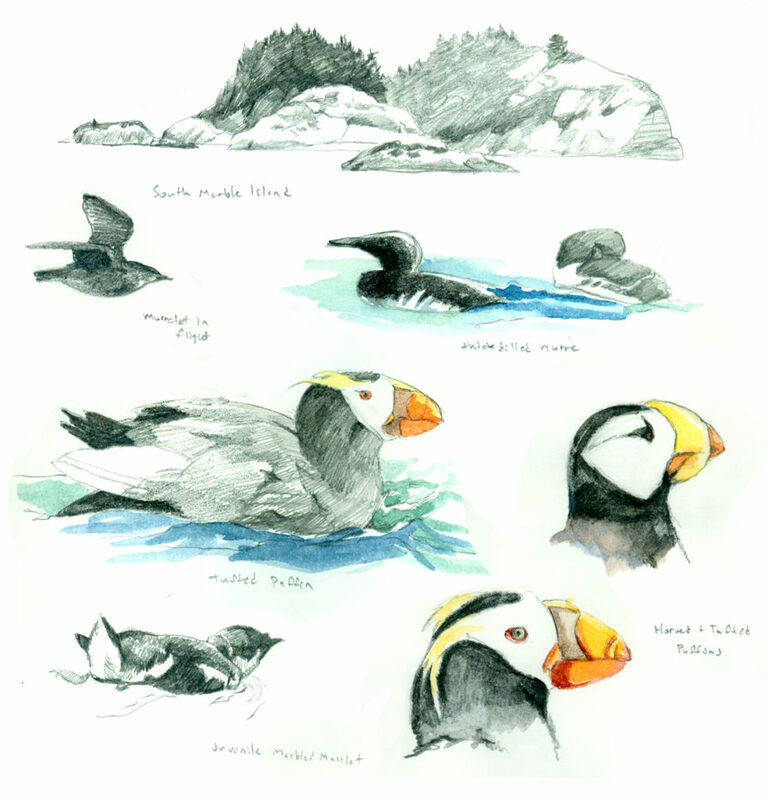 There are flocks of birds all over, kittiwakes and gulls in the air, murres and puffins in the water, it’s an awe inspiring diversity of life. We do notice a lack of the usual sea otters that frequent the island, so a quick detour to the kelp beds close by reveals their whereabouts. 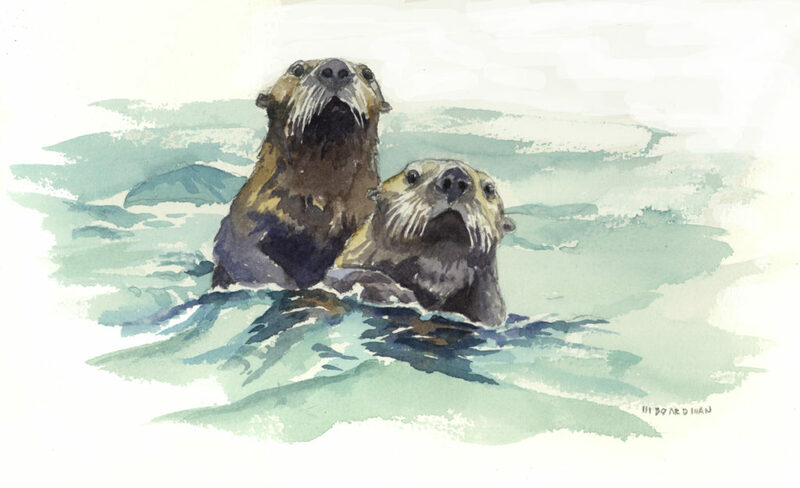 Literally hundreds of otters are floating in the kelp here, and they all pop up at our approach to see what’s going on. After their first view they make a hasty retreat, but curiosity gets the best of them and they pop back up again for another look. Several humpback whales surface on the way back, rounding out this truly amazing wildlife spectacle. What an honor to be here!